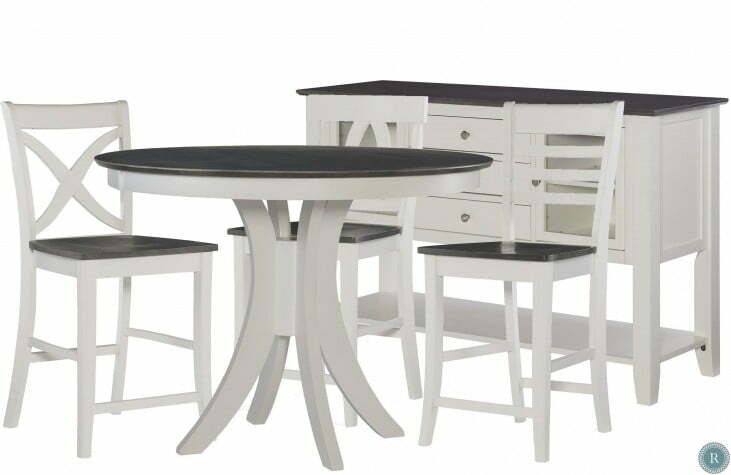 Choose from a 36" round pedestal table. 38" round 4-legged table or a butterfly pedestal table 42 x 42/57". Choice of chair as well- Xback, Straight ladder back or the Arched ladder back side chair. Available in burlapp/ distressed white finish.